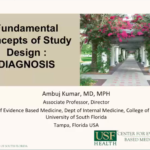 Dr. Kumar relates some of the basic concepts behind medical study design, enabling the listener to utilize simple tools to be able to review the medical literature with a critical eye. 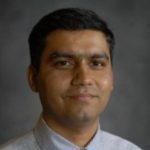 He also addresses the question, “What constitutes BEST evidence?” Dr. Kumar also reviews basic statistical concepts, including prevalence/pre-test probability, sensitivity and specificity, negative and positive predictive value, likelihood ratios, and post-test probability. The talk is a very easily understandable and relatable discussion of evidence-based medicine.